"Thank you for a wonderful, stress free wedding day - everything was absolutely perfect!". That's from Kathy in the photo above. 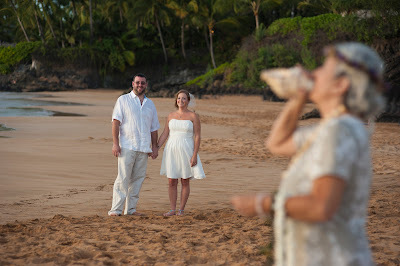 She did her Maui Wedding the right way: Private home rental, beach wedding in the late afternoon at a beach we recommended, dinner at a golf course restaurant nearby the beach. 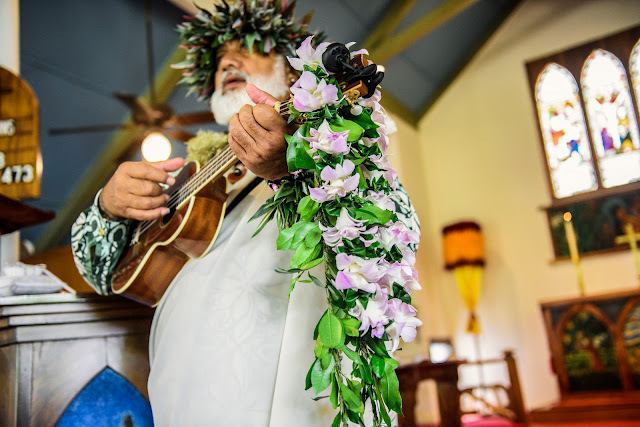 All the venues were within a couple of miles of the house they rented in the south side of Maui so driving was easy and the timing was generous. Marry Me Maui Wedding Planners provided the photography, hair and make-up, musician, minister and coordination at a reasonable price. 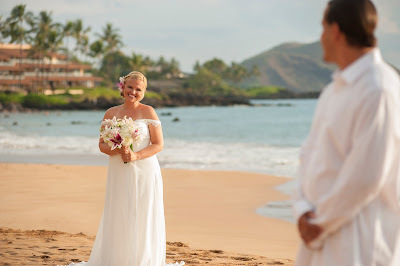 We also gave Kathy all the information she needed to plan a wedding centered around her accommodations without having to drive all around Maui to get things done. Kathy now gets to have superlative photography like this along with memories to last a lifetime. 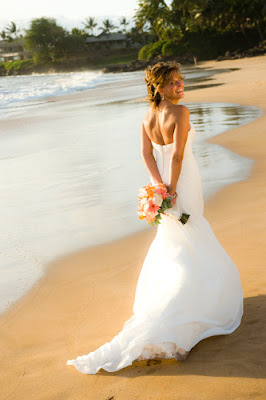 Give your Maui Wedding Planners and Maui Photographers a call for your Wedding in Hawaii.